My husband saw these earrings and mimicked the old Muppets movie: "Pearls... in... Spaaaace!" 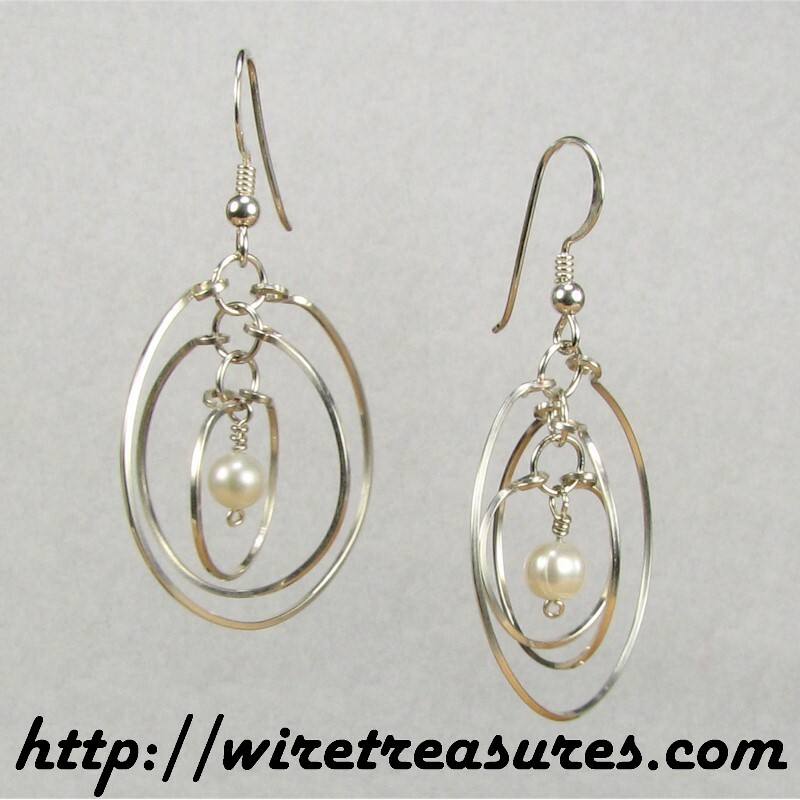 While I send him back to his room, check out these triple circles of Sterling Silver wire orbiting around 6mm Freshwater Pearl beads. Aren't they beautiful? This a new design this year. You are visitor number 3,299 to this page.